This entry is part 16 of 23 in the series Portugal & Andalusia 2012. 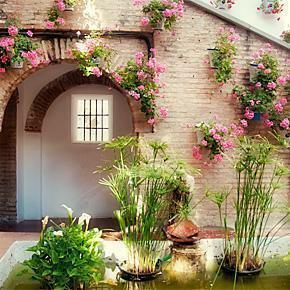 We found little secret gardens, like this on in Cordoba, all over Andalusia. 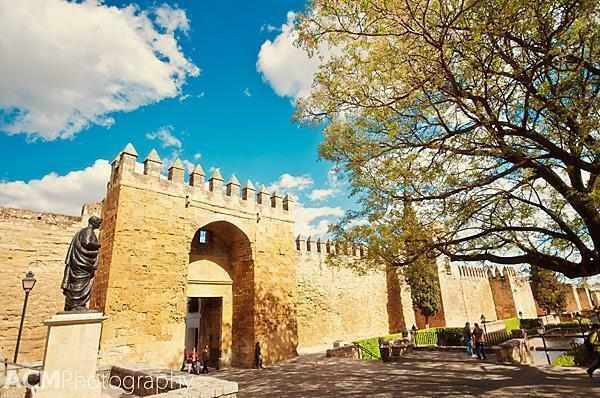 We had a wonderful time exploring Cordoba and Granada during our road-trip of Andalusia, Spain. 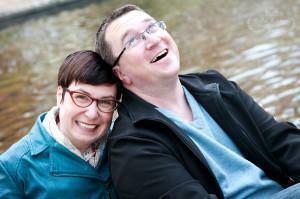 Photographically speaking, both cities offered lots of opportunities. 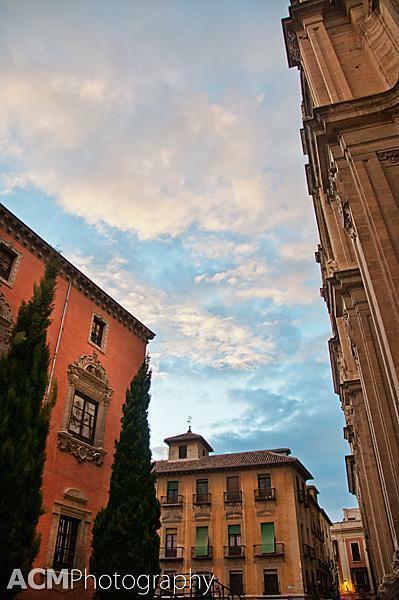 Of course, many of our favourite photos came from our visits to the Alhambra in Granada and the Mezquita in Cordoba, but we wanted to share some of our other favourite places that weren’t big enough to merit their own post. ‘Stop the car!’ This poppy was just begging to be photographed. Andalusia’s cities are incredible but driving through the countryside is pretty spectacular too. 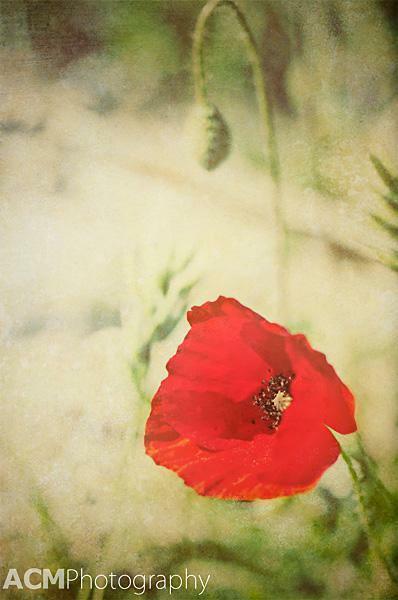 We were treated to patches of roadside poppies as we travelled between the two cities. You expect me to drive on that?! While exploring the quiet neighbourhoods of Granada we encountered some pretty interesting streets. While we’re pretty sure the street on the right was pedestrian only (we hope!) we saw several full-sized cars drive down the ‘street’ on the left. Yikes! Oh that beautiful Andalusian light! Someone long ago told me the light in Andalusia was beautiful. After two weeks shooting photos there, I wholeheartedly agree. Even during the peak daylight hours, the light seemed to have a golden quality. In the morning and evening it was stunning. I happened to look up, as we were strolling through town one evening and happened to catch this beautiful sky. I love how it contrasts with the warm colours of the buildings. You know we couldn’t forget the food right? 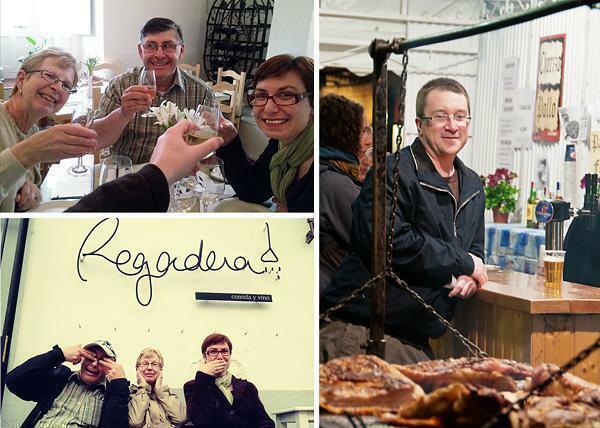 My favourite meal of the trip was in Cordoba, at a beautiful little restaurant called Regadera (The last name of the owner which means watering can). We happened by one evening and had one of the best cheese plates we’ve ever had (and we’ve had a lot of cheese plates!) and some gorgeous wine from the region. We enjoyed it so much, we returned the next evening for a full meal. It was divine. We also happened upon Andrew’s favourite meal by accident. While strolling through Granada one evening, we followed our noses to a square where folks were grilling pork on an open BBQ. Andrew refused to move on until he devoured a plate. The Moorish influence in Andalusia extends beyond the architecture into the food and drink culture. Because of this, you find teashops doted throughout the cities. 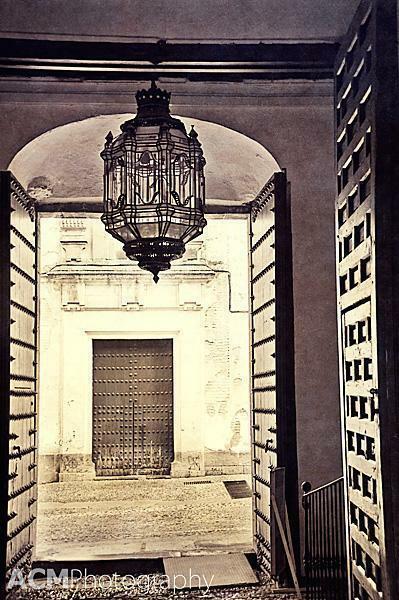 We visited one in Granada, where these photos were taken, but our favourite was again in Cordoba. Salon de Te not only had a tea menu as long as your arm, but also offered tasty sweets to enjoy along with your drink. Small sections of Cordoba’s city walls remain. This area, around the Puerta de Almodóvar is of Arab origin. The golden stone seems to glow in the beautiful Andalusian light. Cordoba’s patron saint is San Rafael, who saved the city from an earthquake. An enormous statue dedicated to him is found behind the Cathedral-Mosque. 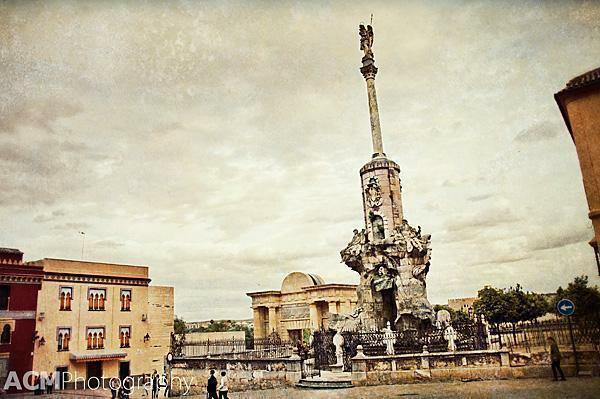 Behind the statue is the Triumphal Arch, Puerta del Puente, which leads to the Roman Bridge. 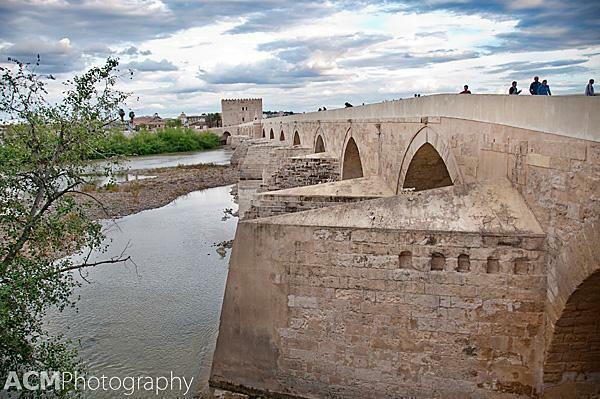 The Roman bridge in Cordoba dates from the 1st century BC. It is 247 meters long and offers a view of the Cathedral-Mosque of Cordoba from the opposite side of the river. I couldn’t help photographing architectural details, all over Andalusia, such as doors, windows and this beautiful lantern. 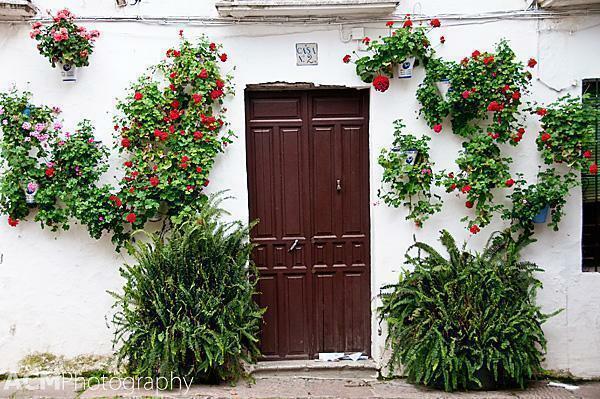 Houses all over Andalusia are decorated with colourful flowers, but nowhere was more beautiful than Cordoba. It seemed as though neighbours were trying to outdo each other’s gardening prowess. 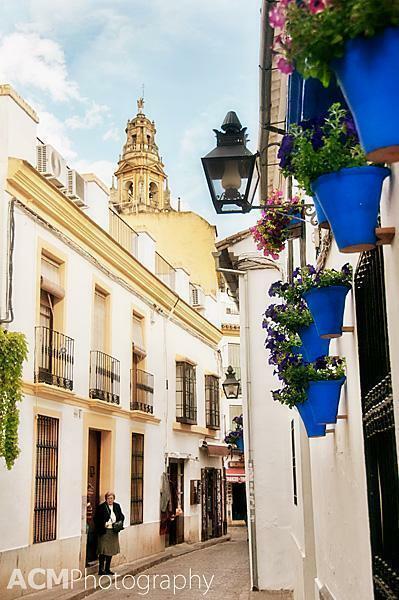 In fact, there is even a street called Calleja de las Flores, or Flower Alley, where tourists flock to photograph the foliage. 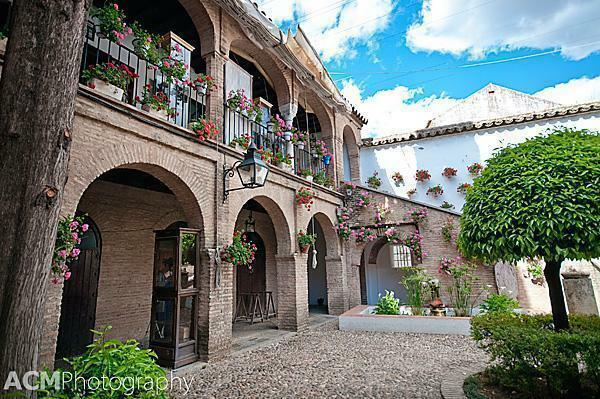 One of the prettiest patios we found in Cordoba, was at the Zoco Artisinal Market. We admired the flowers and it a bit of shopping for local handicrafts while we were at it. This photo really sums up Cordoba for me. It has the beautiful light, pretty flowers and local people, all in the shadow of the Mezquita overhead. A cat hotel? Now we’re talking..
Now it just wouldn’t be me if I didn’t throw in a few cat photos. Despite looking for kitties around this hotel, we found nary a feline. 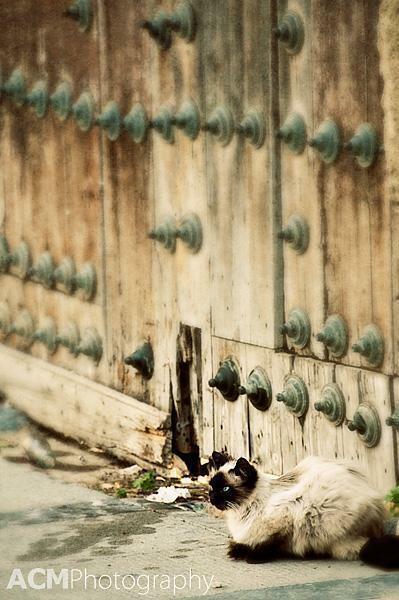 Later we found out all of Granada’s kitties seem to be hanging out at the Alhambra. We found this pretty puss enjoying the evening light near the Mezquita in Cordoba. We hope you enjoyed these photos from Granada and Cordoba. Stay tuned for our final stop in Andalusia, Seville. Coming soon!